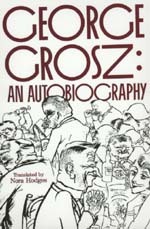 George Grosz was born in 1893 in Berlin and, after twenty years in the U.S., he died in 1959. Born in Vienna, Nora Hodges was at the center of the European art world in the 1920s. Barbara McCloskey teaches Art History at the University of Pittsburgh and is the author of George Grosz and the Communist Party: Art and Radicalism in Crisis, 1918 to 1936 (1997).